If your looking for a quiet, peaceful vacation at a reasonable price, this is it! Welcome to The Bear's Den, at William's Creek Retreat, situated near the Big South Fork Park in a secluded, wooded setting. The main level has a full bath, and a laundry room that has a full -size washer and dryer as well as a fully equipped kitchen. The master bedroom is located on the main level and has a queen bed with direct access to the deck for morning coffee. On the second level there is a full bath that is shared by two bedrooms, one has a queen bed and the other has bunk beds that have a full on bottom and a twin on top. 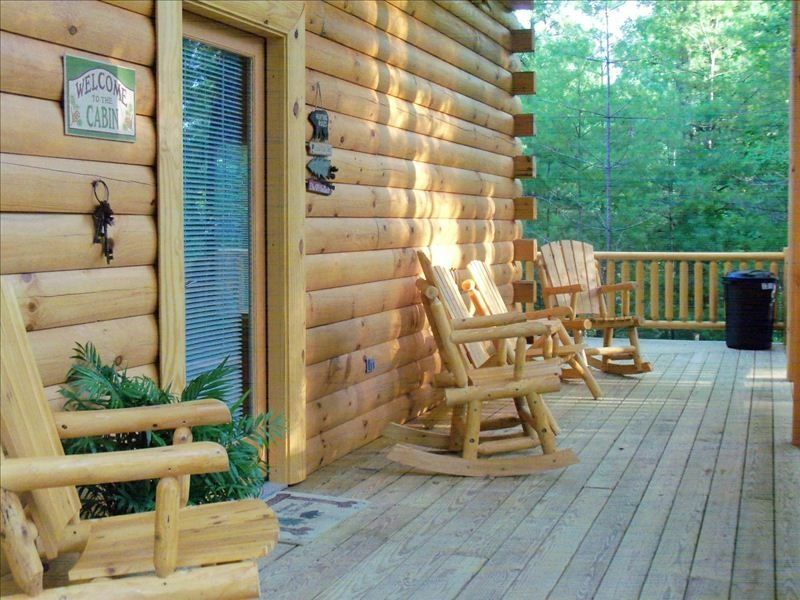 The wrap around deck has rocking chairs and furniture to enjoy the outdoors. Horse stalls available at additional cost. $10.00 per day per horse. We had a wonderful, peaceful, relaxing stay. The cabin was clean, cozy, and well equipped. It was exactly what we were looking for a getaway weekend.